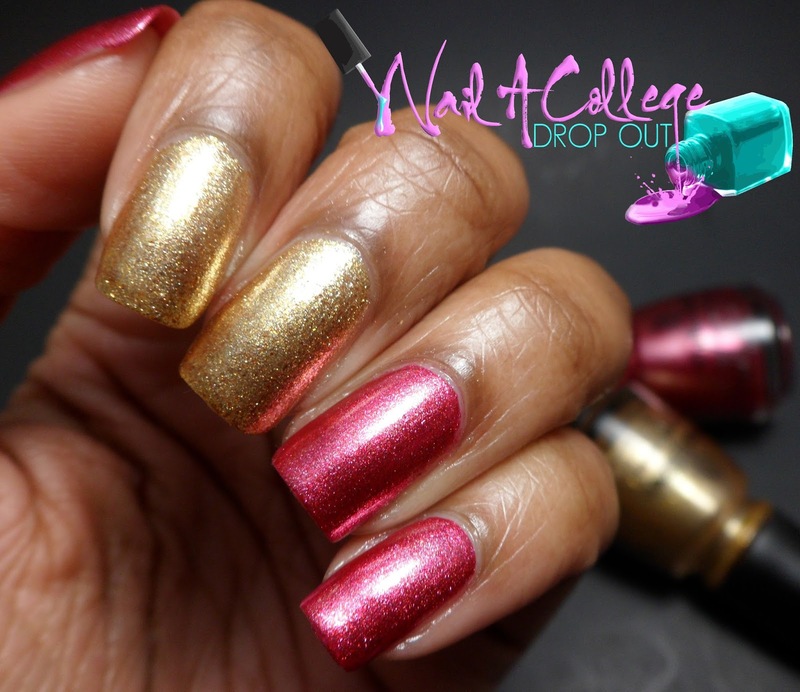 Nail A College Drop Out: Last Minute Xmas Manis! Press Sample It's Christmas and if you're like me and still in your bed clothes with no idea as to how you're going to paint your nails this post may help you out, or at least provide some form of entertainment. 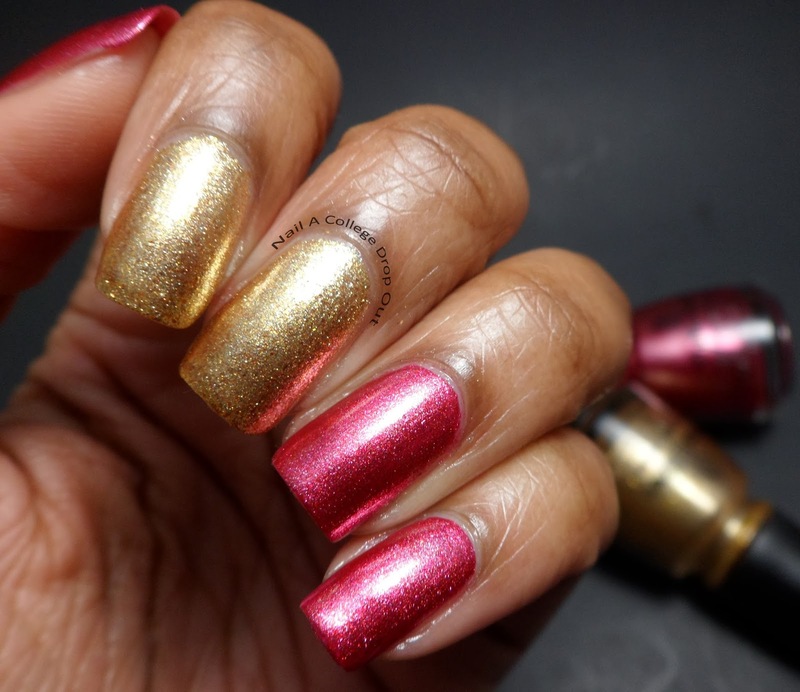 First up I have a simple way to wear China Glaze Mingle with Kringle & China Glaze Santa Red My List. 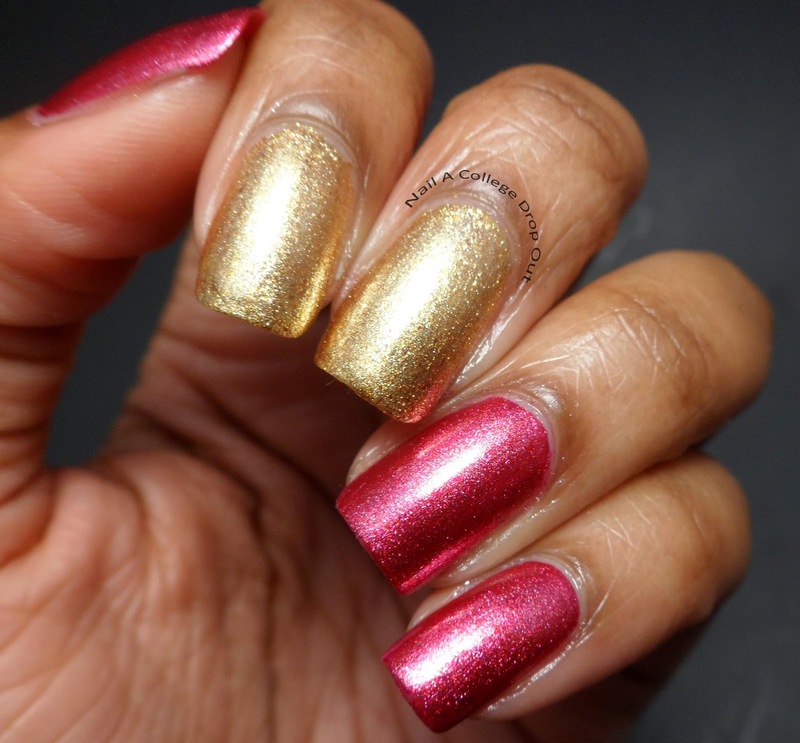 Mingle with Kringle is a warm gold foil while Santa Red My List is a cool dark pink foil. Bot reached full opacity in two coats. The second is my favorite of the bunch. If you like the "futuristic Christmas" look, than you'll probably love this one too! For my thumb, ring, and pinky fingers I used three thin coats of China Glaze There's Snow One Like You. On my middle and index fingers I started butter LONDON Cotton Buds, added some dome shaped studs I bought on eBay, and finished with a few more coats of butter LONDON Cotton Buds. When I originally saw swatches of There's Snow One Like You and read reviews of the problematic application I just knew I would hate it, but I decided to make it work! As it turns out if you use three thin coats it applies perfectly. Great post for last minute ideas! I love that Cotton Buds bumpy look...so unique!